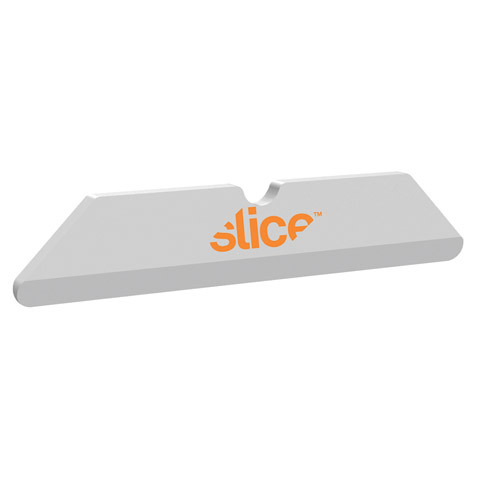 These razor-sharp hand sharpened white ceramic replacement blades are for use with the Slice Ceramic Pocket Cutter (MVSL10514). Each pack contains four double-sided, rounded-tip ceramic blades. Each blade measures approximately 34mm in length. One ceramic blade has the endurance of approximately 20 high-end metal blades. These ceramic blades last up to ten times longer than metal, they are rust-resistant, are chemically inert, non-magnetic and do not conduct electricity.